Growing up in a third world country like India, it is almost impossible to not see the suffering and the impoverishment of a major part of the world’s population. Accumulating all the money in the world can make you feel miserable, whereas giving money, even for those with less income, can not only improve other lives but have a residual glow for the giver as well. 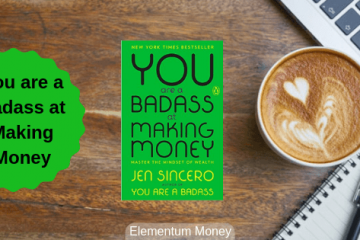 I have always envisioned Elementum Money as an influencer that helps people, especially women, make better money decisions. To me, deciding to give money to philanthropic causes and transmitting those values of giving to the next generation is probably one of the best things you can do with your money. In that respect, I was really honored to have a conversation with Debra Mesch, of the Women’s Philanthropy Institute (WPI), part of the Indiana University Lilly Family School of Philanthropy. As the name suggests, the WPI is an institute that does a lot of research on philanthropy, particularly through a gendered lens. Debra has now been the director of the WPI for the last 10 years and is also a faculty member at the Lilly Family School of Philanthropy. Our conversation revolved mostly around the latest research produced by the Institute: Women Give 2018. The objective of the research was to look at data and see patterns in the transmission of giving to adult children, and the differences between sons and daughters. I am not sure I could do justice to the amount of work and passion that WPI and Debra put into the cause. So, without any further delay, let’s dive straight into the conversation. 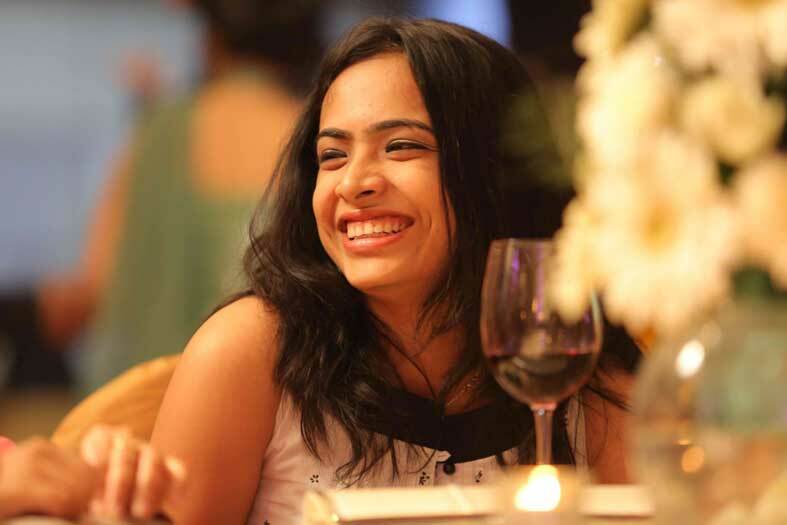 Aparna: Could you tell us a little more about the Women’s Philanthropic Institute and the Lilly Family School of Philanthropy? Debra Mesch: The Women’s Philanthropy Institute is housed in our school, the Lilly Family School of Philanthropy. The Lilly Family School of Philanthropy is the only school in the world that is focused on degrees and education about philanthropy. We have undergraduate, masters and PhD. degrees in philanthropy. The master’s degree is online as well as face-to-face. At the Women’s Philanthropy Institute, our focus is on education and research. Our goal and mission is to increase our understanding about women and philanthropy and we do that by conducting rigorous research and educational programs. Our secondary goal is that we want to translate that research into the public domain. We are a little bit different from other academics in that our research is not limited to being put out in academic journals. We want to do that but we also want to ensure we get this research out into the public domain so that the findings can be translated into public action. This is where people like you come into the picture, who try to translate our research and see how it can be put into action and used to bring about change in our society. Could you tell us more about some of the research conducted by the WPI? The Women Give series of reports is a big part of what we do. We started Women Give as our annual research report in 2010. It talks about philanthropy but always addresses the question of gender difference – be it between men and women or sons and daughters. Four years ago we got our first grant from the Bill and Melinda Gates Foundation to continue all our research. I believe we have really upped the game when it comes to research in philanthropy. We come out with almost one report every month. All reports address philanthropy in the light of gender difference. We look at giving from all possible angles. You can see it in some of our upcoming reports as well.We have one [report] coming out about impact investing and another one about giving and retirement and even collective giving circles. 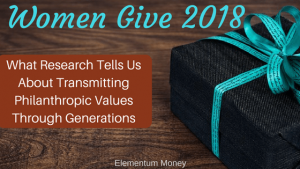 What are some of the key findings from Women Give 2018? Our key finding revolves around how parental giving is linked to an increased likelihood of adult children giving. We dug a little deeper to find out if it really matters for sons or daughters or whether giving remains the same regardless of gender. The study found that parents’ giving, especially if they give frequently, matters much more for their daughters than for their sons. For parents with higher levels of income, their giving affects the propensity of their daughters’ giving even more. In the report, we look at some possible explanations for these findings. Some key messages here are that if parents want their children to become adults who are caring and who are concerned about fairness and equity in their communities, a big piece of it is that intentionality really matters. So, if you are thinking about transmitting generosity to your children and really raising kids who value philanthropy into adulthood, make sure you become role models in their life with frequent giving and talk to them about it. What was the methodology adopted for Women Give 2018? In 2001, our school developed a module on giving and volunteering. There was a whole set of questions called “Philanthropy Panel Study.” We were able to attach that module to a much larger data set: The Panel Study of Income Dynamics (PSID). PSID is nationally-representative data out of the University of Michigan, which was started in 1968 by Lyndon Johnson. The [data] sample tracks household data within all different demographics [during] the period of the war against poverty. Every two years, beginning in 1968, the University of Michigan has asked the same households these questions. When the children are emancipated from those households, this study follows them and their children. This research started with 18,000 individuals and 5,000 households and has grown to about 10,000 households today. It is now a rich source set of social sciences data which has a long history of inter-generational information. There’s nothing like this dataset in the entire world. The National Science Foundation ranks this data set and this social science research in the Nifty 50. So, it’s right up there with the discovery of the black hole etc. In 2001, we were able to attach the Philanthropy Panel Study to this HUGE data set. We use this data in practically all of our research, including most of our Women Give research. We now have 10 waves of that data of which we used seven waves for this study. We are able to look at all kinds of demographic variables. Why was religious giving not considered? There are differences between religious giving and secular giving. In this data set, religious giving is limited to congregational giving – giving to a place of worship like temples, churches, mosques etc. That is a particular type of giving. We do have another report on the intersection of women, religion, and giving. In this data set, there are different sectors of secular giving in our data set including all categories by sector. For example, in the methodology, we list all of the different examples of measured secular giving. That doesn’t tease out religiously identified organizations within those categories. For instance, you can be giving to a religious Catholic school. That would be counted as giving to education. Religious giving is narrowly defined in the study as only giving to a congregation because there is always a different pattern when it comes to religious and secular giving. Religious giving or congregational giving is really a small, little part and we did not want it to end up confusing the data set, which is why we left it out. The research mentions traditions that make the probability of intergenerational transmission higher. Could you elaborate on that further? We know that the transmission of generosity mainly comes from the parents. Role modeling and talking about giving works. The frequency of talking works; it can’t be a one-time deal. A habit or culture of giving needs to be inculcated in the household. It cannot just be a Thanksgiving tradition of giving out food at a homeless shelter. That’s not going to work. You have to have it really infused in your schools, in your homes. Talk about giving. Talk about the intentionality of giving. Have your young children involved in giving. Encourage them to think for themselves and have a say in where they want to give, to develop opinions better. Have them think about where their passions are. We talk to a lot of family foundations that are set up here, and there are a lot of inter-generations that are a part of those family foundations. Parents may have started a foundation based on the environment and then they involved their children and grandchildren. Then they can’t necessarily expect them to have the same passion for the environment as they have had. We owe it to the children to ask them to develop their passions and see how we can help them give to those passions. Another family tradition that I have heard of and is written a lot about is when children get an allowance, you teach them to divide it three ways: one part for savings, one for fun and personal use, and one for giving. Starting children at an early age with the habit of giving takes care of both the socialization and the talking. This combination has shown to work the best when you combine role-modeling and talking to the kids about the importance of giving. 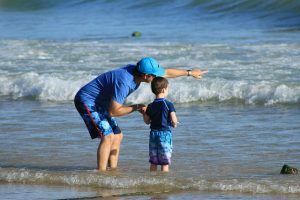 Research has shown that talking about charity by parents in addition to role-modeling by giving themselves, increases the child’s probability giving by 20 percent by just role-modeling. The biggest conclusion of the study is that daughters are more influenced by parental giving than sons. Two reasons are proposed for the possibility. One is that daughters learn more through socializing or watching their environment, and sons through being talked to. While the talking and teaching might reduce over time, if parents are still giving, their daughters pick up that habit over time. Second is that parents unintentionally give cues as to how giving is a form of caretaking. I am more curious as to how the latter would play out. In American culture, daughters are supposed to be caregivers. Giving is a form of caretaking. Men and women are socialized into very specific roles. Women who work full-time still have to do the majority of taking care of the children, cooking, and general household tasks. At a very early age, girls are typically socialized into much more of those caretaking roles. They are the ones who are expected to take care of their parents when they get older. Certainly, care-taking is a part of philanthropy. 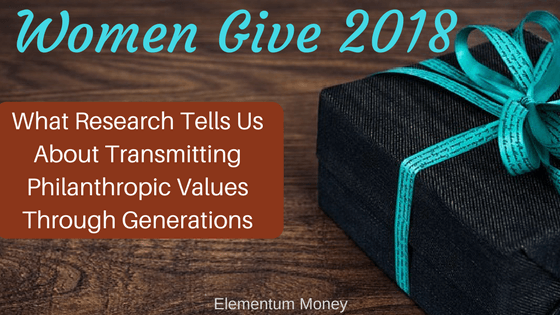 The research itself reveals much more in terms of the transmission of the habit of giving from parents to children and the gender differences between sons and daughters. It is not every day that you get to read such interesting research which could have a direct impact on your personal life. If we hope to make the world a better place and play our role in reducing the inequality, we could learn from what this data tells us. Do make sure you check out the Women Give 2018 report here or take your pick of the other reports from the Women Give series here. Got a question for Debra or have an opinion on the findings? 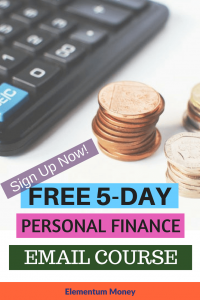 Let me know through your comments or feel free to email me at aparna@elementummoney.com.